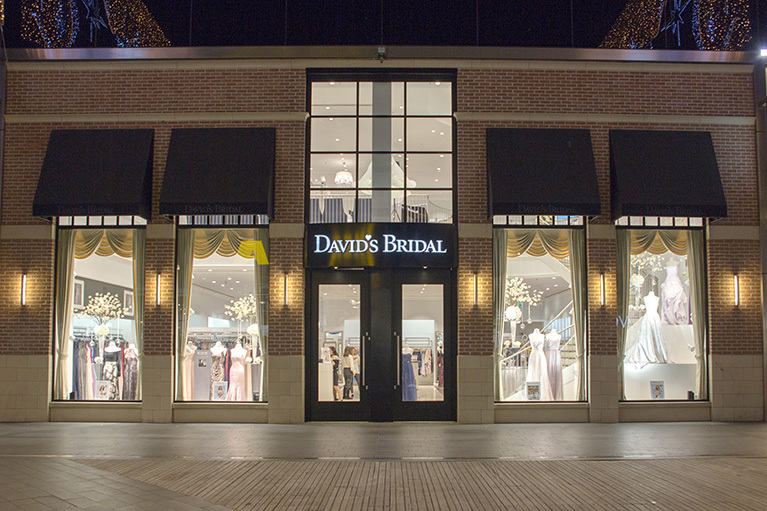 Welcome to David's Bridal Stratford store, serving brides and special occasion customers of London, Bath, Oxford, and more. The following designer brands are available at this store: White by Vera Wang, Truly Zac Posen, Wonder by Jenny Packham, Cheers Cynthia Rowley, Melissa Sweet, and Oleg Cassini. Make an appointment to come to our Stratford location to browse our elegant cocktail dresses, military ball gowns, formalwear and, of course, dresses for brides and every member of the bridal party.